Making food from scratch tastes better. 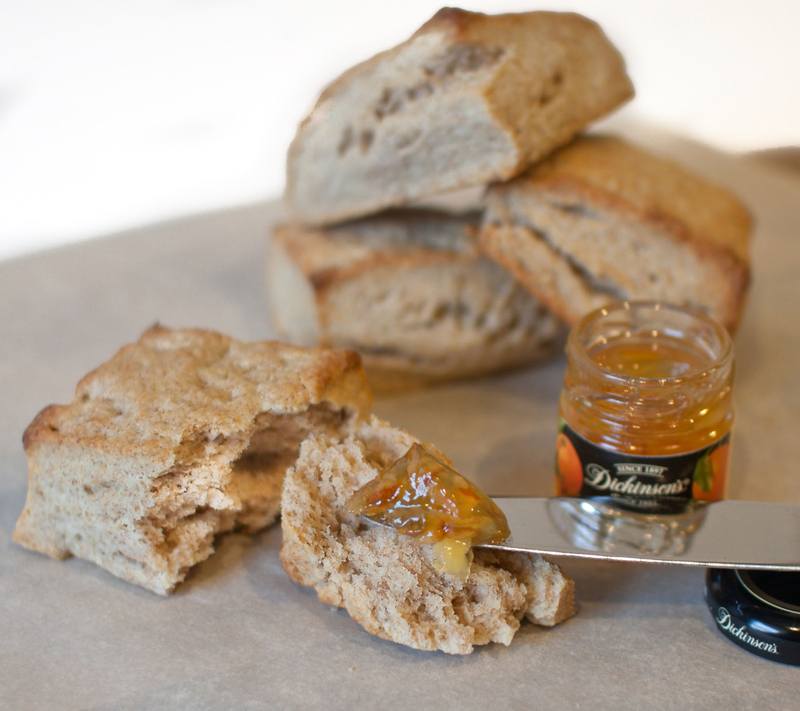 But often times, the ingredients we use to make things from scratch aren’t homemade. To no fault of our own — making each ingredient every single time would be entirely too time consuming, if not impossible. But when given the chance, I like to try and make as many things from scratch as I can. 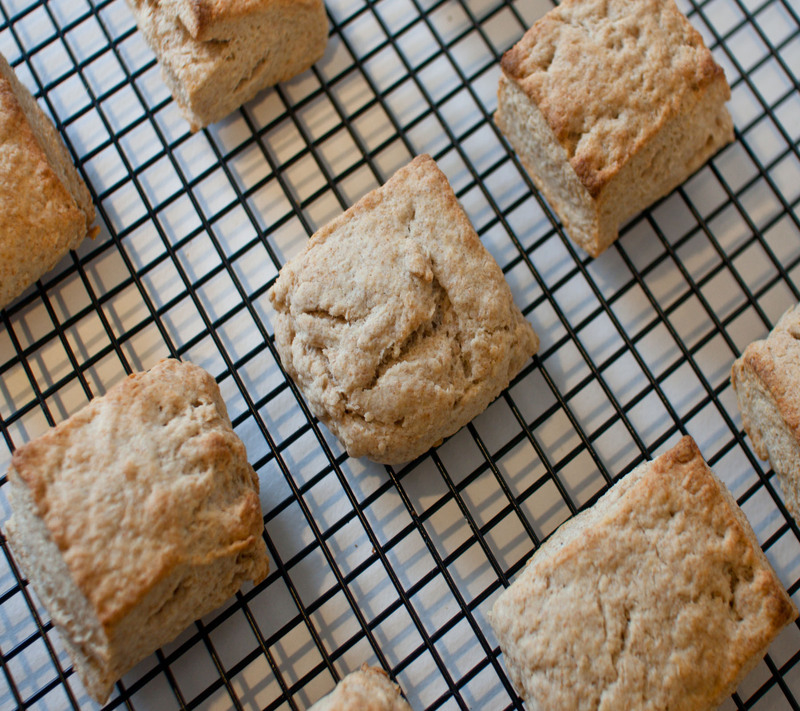 Take these whole wheat ricotta scones for example. While I could have used store-bought ricotta, I thought it would be fun to make my own — something I’d never done. And when digging for recipes, I was shocked at how easy it was and wondered why I’d never made my own before. Not only that, but the end product was amazingly creamy and delicious — way better than any store-bought ricotta I’d ever tried. I can’t wait to make this recipe over and over again. As far as the scones are concerned, don’t let the whole wheat flour fool you — they’re super tender, flaky and delicious. In fact, I think the whole wheat flour gives them a hearty, nutty flavor which is a nice twist on the traditional scone. And as for the homemade ricotta? Well, I didn’t do an official taste test, but I’d be willing to bet that it made the scones taste that much better. Preheat oven to 425 degrees. Line a large baking sheet with a Silpat or parchment paper. In a large bowl, whisk flours, baking powder, sugar and salt together. Using a pastry cutter (or your hands! ), add the cubed butter to the flour and work until the mixture is coarse and mealy. Add the ricotta and heavy cream and firmly fold the mixture together using a stiff spatula until it begins to form a ball. Transfer the dough to a well-floured counter, and kneed until everything has come together. The fewer kneeds the better, as the more you work the dough, the stiffer it’ll become — making for a tougher end product. Pat the dough into a 7″x7″ square that’s about 1-inch tall. With a large knife, divide the dough into 9 even squares. Transfer the scones to prepared baking sheet, and bake for about 15 minutes or until the scones are lightly golden at the edges. Cool on the pan for a minute or two, then transfer to a cooling rack. Let cool for at least 20 minutes as they’ll continue to set as they cool. Pour the milk, cream and salt into a medium saucepan and heat over medium-high heat. If you have a candy thermometer, heat the milk to 190 degrees, stirring occasionally to prevent the bottom from scorching. If you don’t, bring the mixture to a simmer and let it simmer for about three minutes. When it’s ready, it’ll start to look foamy. Remove from heat and add the lemon juice, then stir the mixture gently a few times. Let the pot sit undisturbed for 5 minutes. I recently made this ricotta too! I can’t wait to make it again, perhaps for some dinner party hors d’oevres. Your scones look fab, something I’ve been wanting to bake but still havn’t gotten around to. I have some peach butter that needs these! I made homemade ricotta the other day for the first time as well. It’s RIDICULOUS how easy it is! Definitely a cheese we should be making at home. It’s not something crazy like homemade mozzarella. I looked into how to do it and the recipes said to stick your hands in ice water for as long as you can because you have to stretch the curds in boiling water!!! I’ll stick with buying mozzarella lol, and making ricotta at home! These look great! I love whole wheat treats! A of all: Smitten Kitchen is adorable! B of all: whole wheat = healthy scones, right? (say yes). C of all: homemade ricotta is to die for. I love this. Kudos to you making your own ricotta! It is a great ingredient to use in bread. The description of tender and flaky has sold me on these-yum! New to your blog and I love it already! Homemade ricotta? What a great idea! Nothing like a homemade..your scones look and sound so tasty, and together with ricotta I can imagine the mind blowing taste!! Thank you for sharing, love this post!! 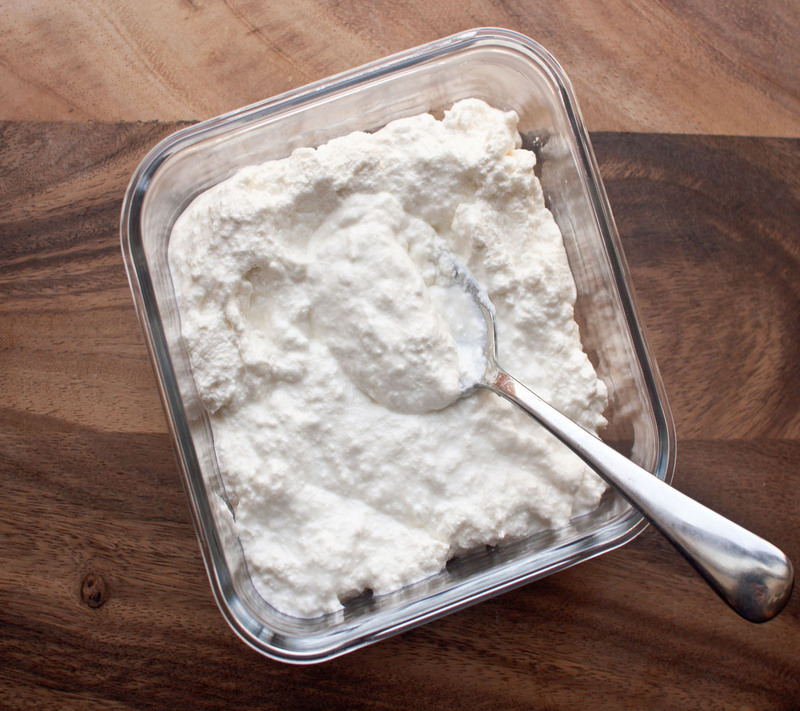 I’ve been meaning to make the Smitten Kitchen’s homemade ricotta for some time now. I had an appetizer the other day that was basically toasted bread with creamy fresh ricotta, sage and a drizzle of honey and pinch of sea salt. It was to die for! Glad to see that someone else has had success with the cheese -making. I really must give it a go! I’ve been wanting to make homemade ricotta, but I just get lazy. I need to remedy that, because this looks delicious! I’ve never tried ricotta in scones before, must try that. I love that the ricotta is from scratch too.